During the last months of 2018, the new W COSTA RICA hotel was inaugurated in Guanacaste. Strategically located inside famous Reserva Conchal, a 2,300-acre nature reserve that features real estate development, a West In Hotel, professional golf course, and a wildlife refugee. W COSTA RICA came to redefine the experience of a luxury resort for travelers who yearn to experience the characteristic adventure of the country. It seeks to translate through design, details and in a modern way the history and culture of both the country and the region. While entering the property you’ll notice that the pathway is marked by the typical trees of the region called “Indios Desnudos” which leads you to a bright red semi-circular arrival area. This was inspired by the cultural activities that are held in the country where bulls run around a circular area called “plaza de toros”. Since the beginning, you will find all the allusions that are made to the culture and you will feel attracted to this new fun and sophisticated hotel. The hotel counts with a wet deck decorated with colorful oxcarts, including a hot tub, a beautiful pool, and a wet bar. The beach club, known as “Zona Azul Beach Club” is located right below. There is an integrated zip line that goes from the Wet deck right down to the beach club, placing you in a 10-minute walk away from the beach. On Zona Azul you will find an infinity pool with enough space for sunbathing within luxury details. Enjoy a meal in any of the 5 restaurants located in the Blue Zone offering different international tastes like Italian, Japanese, Greek, Californian and Costa Rican. At night this area turns into a sophisticated bar with cocktails and access to the beach. The innovative design of this outstanding hotel is astonishing, adding up to the natural ecosystem where it’s located, Conchal Beach. In Reserva Conchal, you will find beautifully built neighborhoods with exclusive amenities and unique styles. 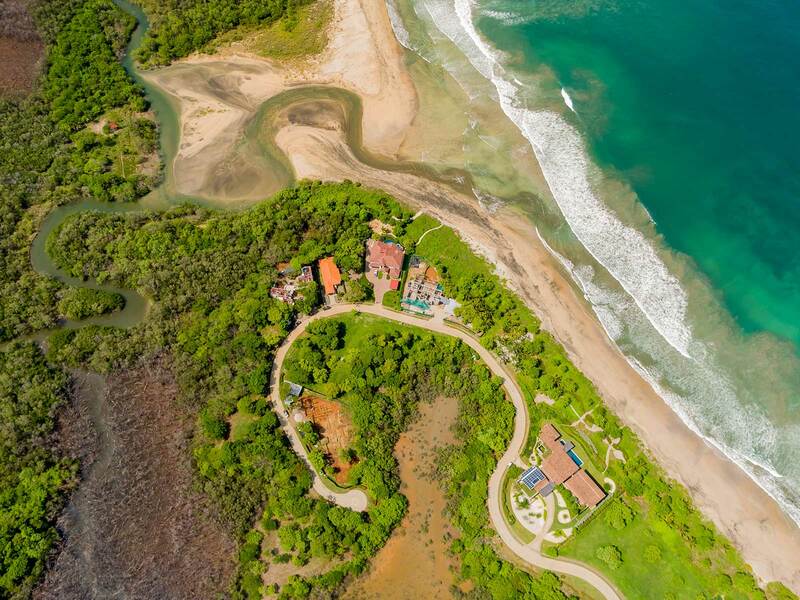 The three private neighborhoods mix within the lush forests and blend with the impressive ocean views. Some of them are already built but there are still lot sites to build your dream home. Sustainability is one of the main goals of the complex since they focus on economic social and environmental development. For example, the beach club, hotel and golf course located in the development are carbon positive, compensating %25 above the total carbon emissions. With the grand opening of the new W hotel, Reserva Conchal is full of opportunities for tourists and locals, offering you an exclusive lifestyle full of nature and luxury.